The famous street food snack of India is Bread Pakora. 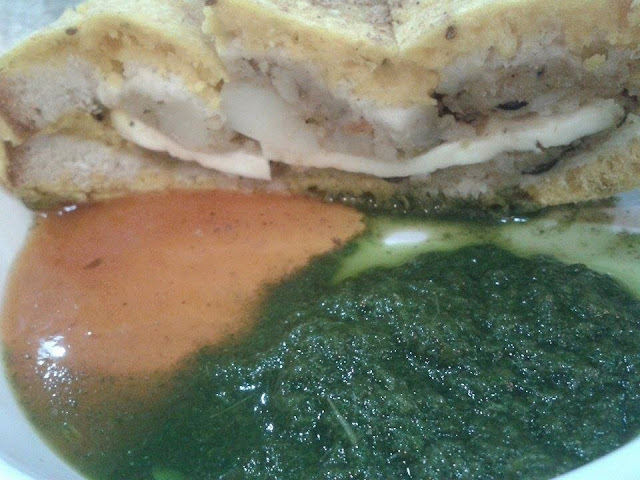 This is a famous street food from northern India but now-a-days they are easily available in Bangalore also. One day me and my husband went outside for having light snacks then we tried this stuffed bread pakoda there, but little bit disappoint from taste. So that day I decided to make this stuffed bread pakoda at home. Yesterday made and posting today. I am so happy, its crisp and taste very well with coriander and tamarind dip. It is tasty and delicious tea-time snacks. This is best time to eat at monsoon time / rainy days. This is best accompaniment with tamarind chutney and green coriander chutney. 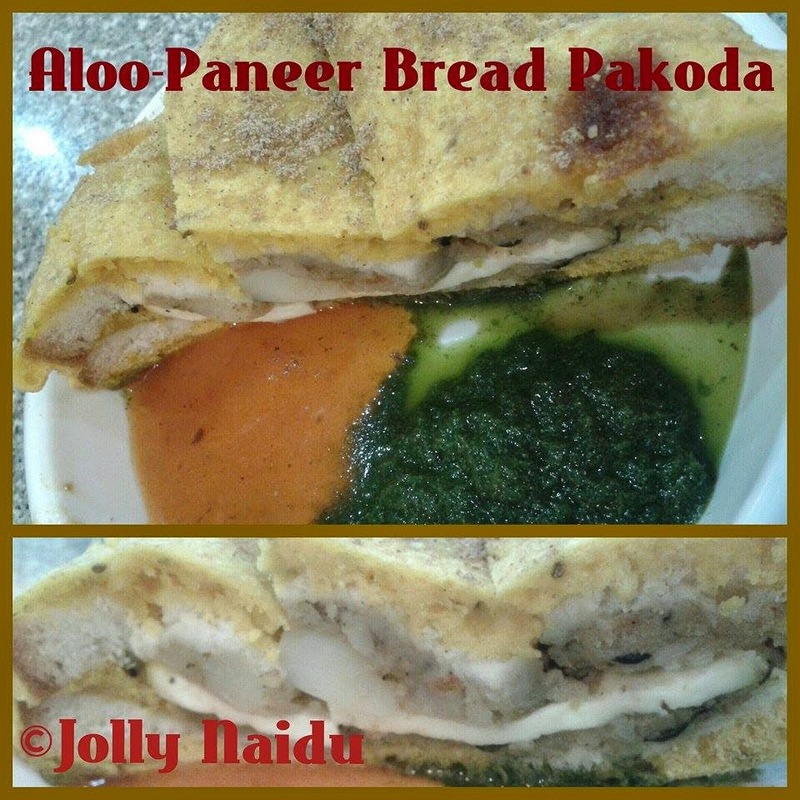 Let's start to make this Aloo-Paneer Bread Pakoda recipe with step-by-step process. ** Combine all the ingredients together in a bowl and mix well. ** Combine all the ingredients together and add enough water for batter not so much in thick consistency. Make sure about spices because we already using in potato mixture also. Balance them according to your taste. 1. First take bread slices and cut it into diagonally or triangle shape into 2 pieces. 2. Now spread a layer of potatoes mixture on both bread slices. 3. Now place the paneer slice (according to bread slice size) in the center of one slice and cover it with another slice. 4. Heat oil in a Kadai / wok on high flame. Now dip the bread sandwich into gram flour batter and place into the wok for deep frying on a medium flame, when become golden in color and cook well. 5. Place the bread pakoda into the plate. Your stuffed bread pakora is ready. 6. Cut the bread pakoda into pieces and sprinkle chaat masala and Serve hot with green coriander chutney and tamarind chutney. I hope you'll all like my recipe, tried it at your home. Let me know if you have any questions / doubts in the comments below!